Hearing a strange ticking noise coming from the engine compartment is enough to stress out any driver. Fortunately, ticking doesn’t necessarily mean the engine is in bad shape or even needs immediate attention at a service center. Ticking can actually be a normal, non-harmful engine sound. For those wondering, “Why is my engine ticking?” below you’ll find a quick list of possible causes of engine ticking noises, along with how they can be fixed! Sometimes, fixing a ticking engine is as easy as adding new oil. When oil is low, the valve train and its parts aren’t properly lubricated, creating friction and noise. So, if you’re wondering what could be the cause of your engine ticking noise, be sure to check your oil level first. If you’re unsure of what to do or what kind of oil to use, Fletcher Jones Imports can help. We offer expert Mercedes-Benz Synthetic Motor Oil Replacement* for Paradise-area drivers! In an internal combustion engine, each cylinder uses one intake valve and one exhaust valve. Both valves open and close as the engine operates and never move long distances. The pushrod—or camshaft—and valve work in synchrony, but when normal wear and tear occurs, shims, or other components used to adjust clearance, no longer operate effectively. Your car might need new shims or a rocker arm—another crucial component that helps control engine valves. Engine ticking isn’t always a cause for concern. In fact, it can signify normal engine operation. For example, if your car is powered by a fuel-injected engine, the fuel injectors may occasionally make a ticking sound, telling you they’re firing properly. Fuel injectors open and close at rapid speeds, and inject the proper amount of fuel into your vehicle’s engine. They can typically be heard opening and closing when the car is idle. 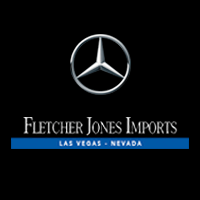 If you’ve noticed an engine ticking noise and suspect a problem, schedule an appointment at Fletcher Jones Imports in Las Vegas. Our Mercedes-Benz Certified Technicians use cutting-edge tools and technologies, as well as genuine parts, to complete even the smallest of repairs. Let us get to the bottom of why you’re hearing a ticking noise from your engine. We can’t wait to show you why Summerlin and Spring Valley drivers choose us for auto care! What is Mercedes-Benz ASSYST PLUS? 0 comment(s) so far on What Could Be the Cause of This Engine Ticking Noise?